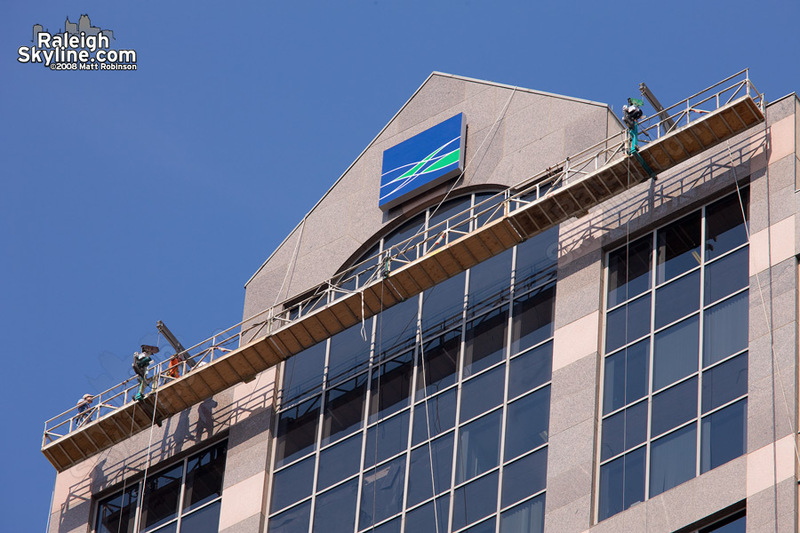 One side of Wachovia Capitol Center’s rumored sign has been put into place. 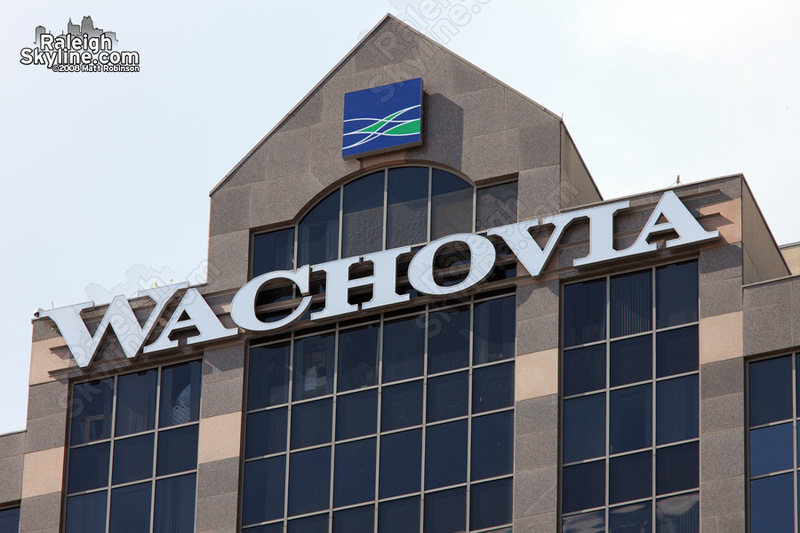 The southern front of the building received the Wachovia logo and lettering first, and the western facing sign will go up in the next few days. 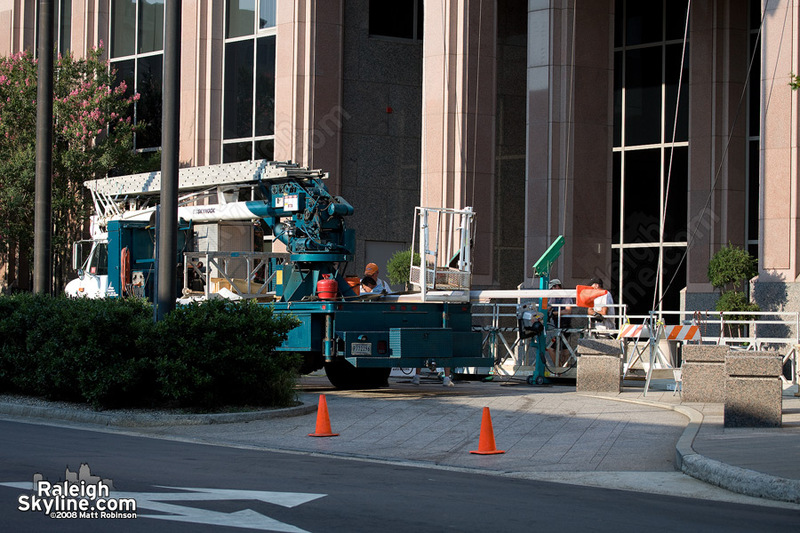 Apparently, only these two sides will have signage. 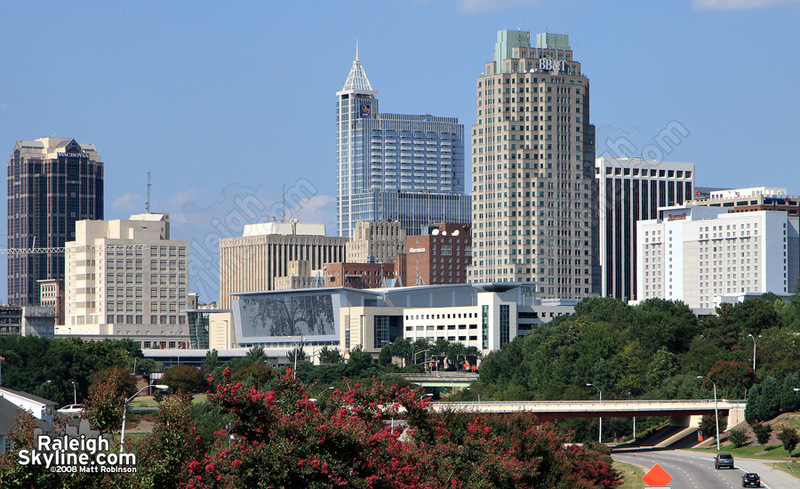 I did a mock-up of this last March, which you can see here. 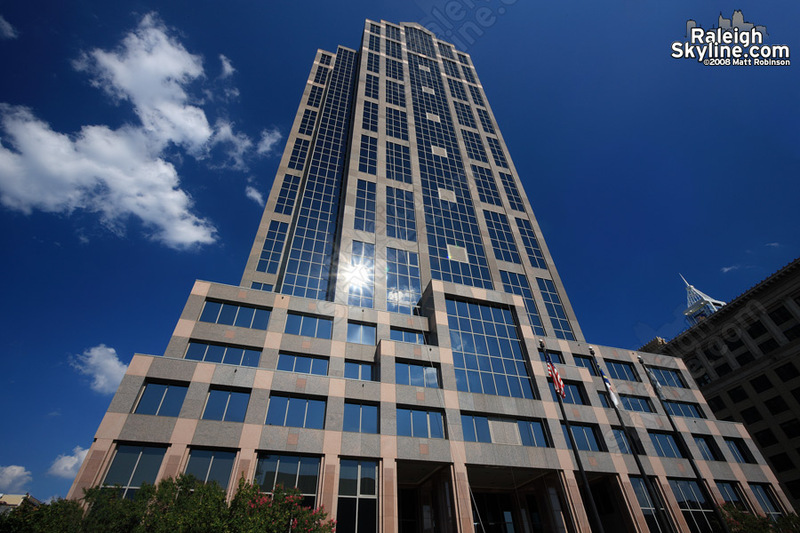 New Wachovia sign atop Raleigh’s Wachovia Capitol Center. 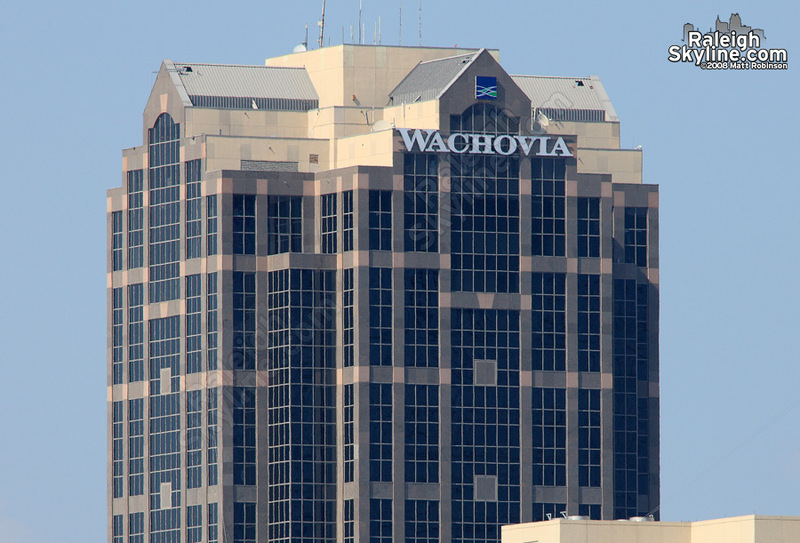 Close up of new Wachovia sign atop Raleigh’s Wachovia Capitol Center.